Investing in property can be a great way to achieve financial freedom or to put a little bit of extra money into your pocket. But when it comes to investing in property there are a lot of different strategies you can use to achieve success. No one particular strategy is THE way to go. You can achieve success through all of these strategies. So today I want to highlight 10 of the common real estate investment strategies that you can consider when it comes to deciding how you want to invest in property . What are they and what are the benefits of each individual strategy and what sort of person do you need to be to go about investing using these particular method? 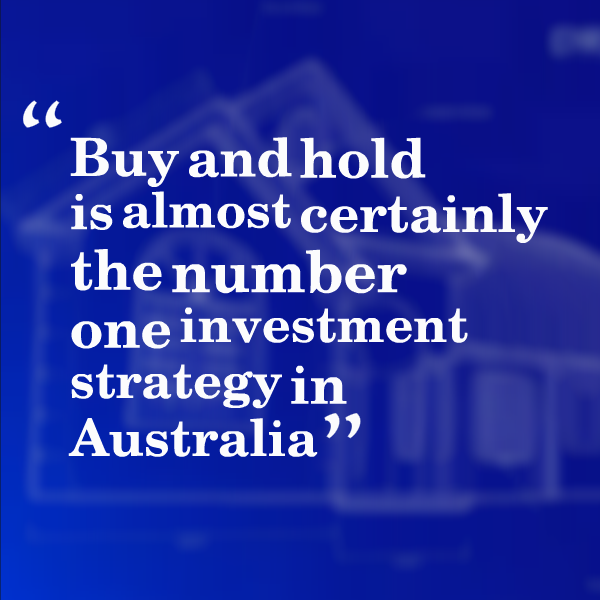 I would say that this is the number 1 investment strategy used in Australia and all it is, is purchasing a property in order to hold that property for the long term . You may be purchasing the property for rental income or you may be purchasing a property for capital growth that doesn’t really matter. It’s still going to be called buy and hold if you’re buying it and holding it for a long period of time. This is extremely common because as they say “property tends to double every 7 to 10 years”. You can get great capital growth out of it and also rental incomes tend to go up over the years as well. This means overtime you keep getting more and more rental income from the property and someone else can pay for your mortgage for you if it turns into a positive cash flow property. Buy a hold is extremely common and it’s a pretty simple way to go because you don’t have to know a great deal about how to renovate, or how to do options etc. It’s pretty basic, you buy property ,you’re hold it and then you sell it in the future or you keep it for the rental income. This is purchasing a property in order to spruce it up, put in some TLC and improve the value of the rental income or the property through renovation . This can be as simple as doing a cosmetic renovation where you might put in a new carpet and paint the walls and other simple stuff or it can be as extreme as changing the layout by removing walls or moving walls and adding extensions to the property. Renovation is a common strategy used by a lot of investors. Generally you purchase a property, renovate it (as quickly as possible) and then on sell it to make a chunky profit and then move on and do another renovation. This can be a very profitable strategy but obviously it involves some good old elbow grease. I sat down with Rochelle and Nicole (who are town planners here on the Gold Coast) and we talked about dual occupancy and how to create a dual occupancy . Dual occupancy is creating two or more rental incomes from one title. 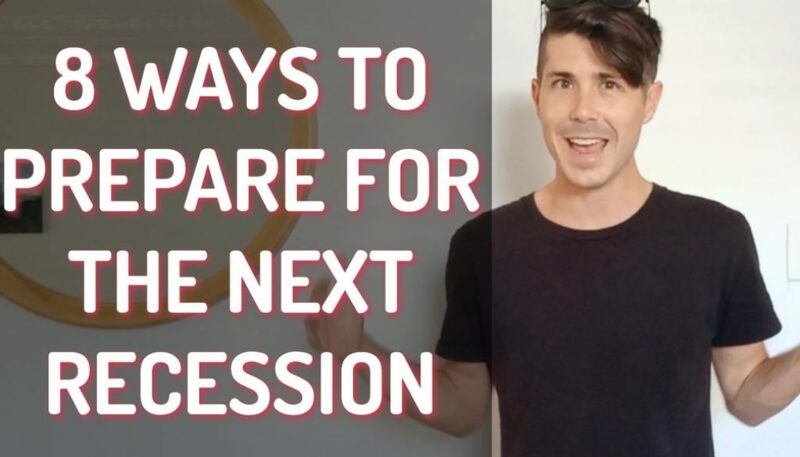 That may be done by adding a house or adding a granny flat onto the back of your property or it could mean simply splitting your property so downstairs is one self-contained living area and upstairs is a second self-contained living area. 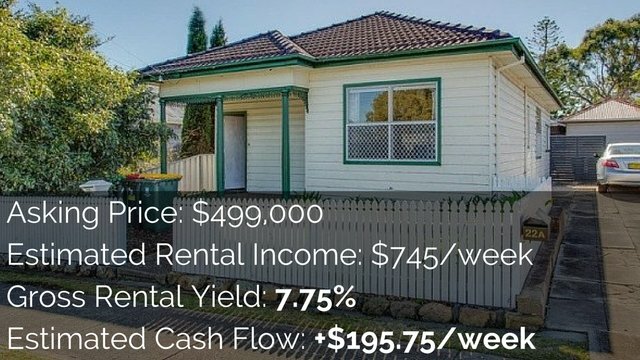 Basically you’re getting multiple rental incomes on one title and so that’s dual occupancy and that can be a very profitable investment strategy in terms of rental income and can actually help when you come to sell your property as well because the one house can have multiple uses or generated income for the people buying it. This is where you take a property or a block of land and you draw a line down the middle and you turn it into two separate titles. This means that one block can now be sold off or can now be developed on and other block stands on its own as well. You’re effectively taking one title and you’re turning it into two titles with smaller blocks of land. Subdivision is an expensive process to go through (I’ll have to do an interview to find out the full cost for you). I think it’s around the ballpark figure of about $30,000 or more to get a subdivision done. Rather than just subdividing you might take a block of land and build townhouses or villas or units and then go ahead and strata title those. Rather than just renovating property and rather than just drawing that line in the sand to subdivide you’re going ahead and you’re building multiple dwellings on what was originally one block of land. Larger scale developments are extremely common among investors – especially more experienced investors. It can be extremely lucrative to do these developments but then often you need a larger cash outlay in order to get them going (and there is more risk). This is a spin on buy and hold – because technically positive cash flow properties you’re still buying and holding them. But you’re buying them specifically for the positive cash flow that they spin off. 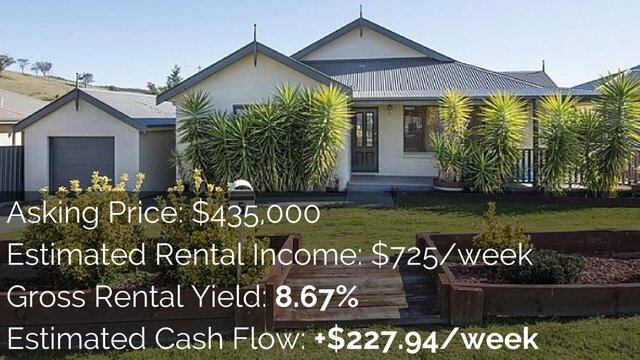 A positive cash flow property is property that generates more in rental income and you are paying in expenses and that leaves some passive income leftover that you can spend on whatever it is you want to spend it on. You could give it to your favourite charity or your church, you could use it to reinvest you could use it to pay off the mortgage. You could even use it to pay for your lifestyle. 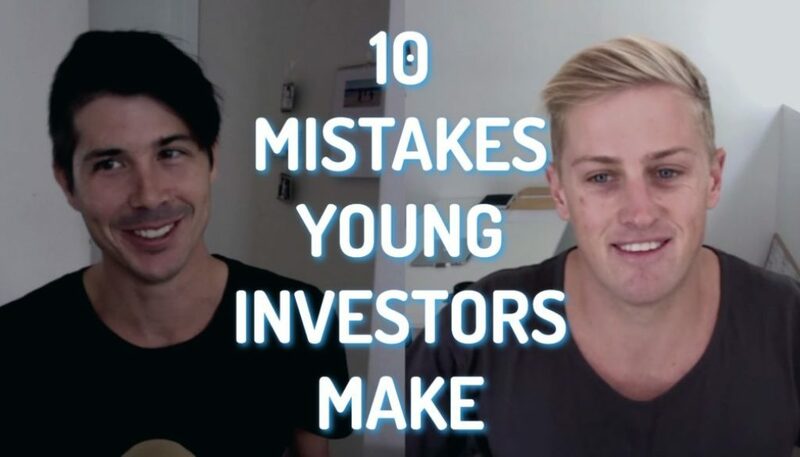 A lot of investors will either go about investing using positive cash flow property to achieve financial freedom or they’ll invest using negative gearing and then in the future when they’ve equity growth they’ll sell off some properties and turn the remaining properties into positive cash flow properties for that rental income. 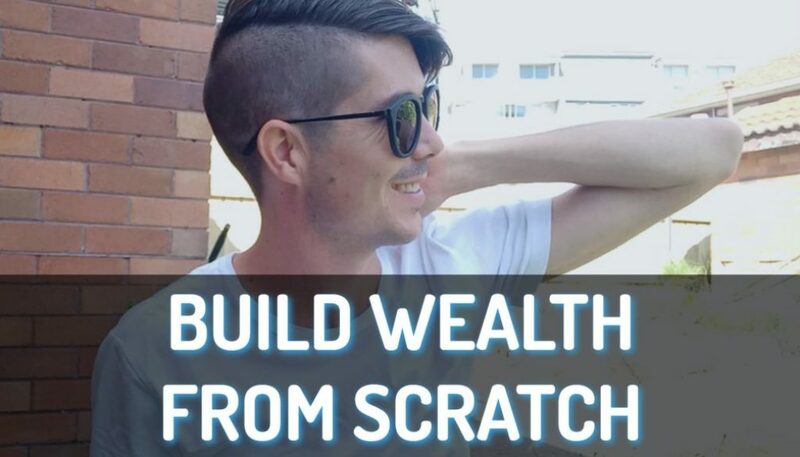 Positive cash flow properties are the method that I love the most because I just love that idea of passive income coming in that you don’t really have to work for. Passive income that can actually grow over time as rents increase and as you pay off your mortgage. This is the opposite of positive gearing and it’s still in line with that buy and hold strategy we talked about in method number one. With negative the rental income that you receive is less than the expenses that you are paying, which means you need to pay money every single month (out of your wage and out of other income) to keep that property going because otherwise you will have to default on your mortgage. The idea with negative gearing is that you lose money for a certain period of time but the property goes up in value so that when it comes time to sell you make much more money back. The goal is that the property will grow faster than the money you’re putting into it. Or the goal could be that overtime rents will increase and that negatively geared properly will turn into a positive cash flow property. This is different to residential real estate in quite a few different ways. Firstly when it comes to lending, you are likely to need a larger deposit the commercial real estate. With residential the goal always seems to be a 20% deposit and this allows you to avoid lenders mortgage insurance, but when it comes to commercial property it tends to be around 30% deposit that you need. On commercial property as well it’s usually the tenant’s responsibility to pay for all the outgoings. So you’re talking about water, council rates even things like repairs and maintenance become the responsibility of the tenant’s. 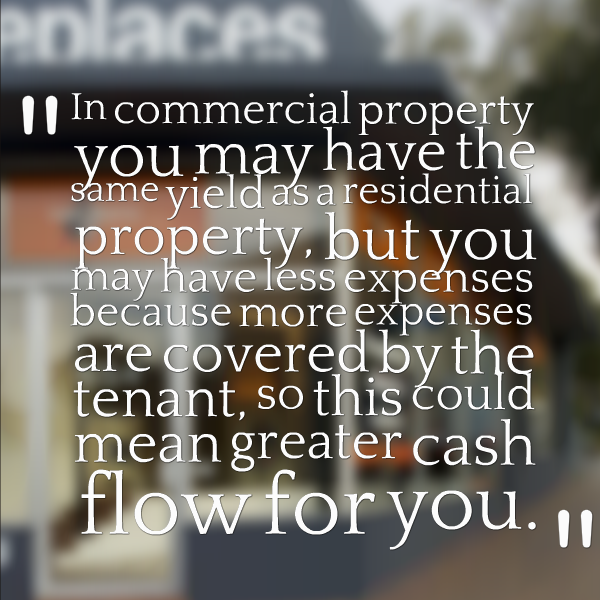 In commercial property you may have the same yield as a residential property, but you may have less expenses because more expenses are covered by the tenant, so this could mean greater cash flow for you. This is when you buy a block of land but you’ve got approval already done to build a house on and a build contract in place to build that house. You see the signs up everywhere (well at least you see them where I live in the Gold Coast). Basically what you’re doing is you’re buying a block of land and that is going to be built on and deliver a house to you but the house isn’t there yet so you’re buying the house and land , but you have to wait for the house to be built. Method number 10 (lucky last!) is simply purchasing land itself without any contract to build a house or built a property on it. And a lot of people do go ahead and invest in land. Obviously land is very likely to be negative geared, because it’s pretty hard to produce an income when you don’t have a dwelling on your block of land. But you can get great capital growth with land and it is a smaller investment than investing in something that has a dwelling built on it. 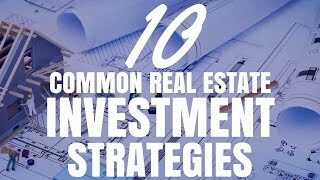 There you have 10 common real estate investment strategies. Depending on who you are you may gravitate towards different investment strategies. 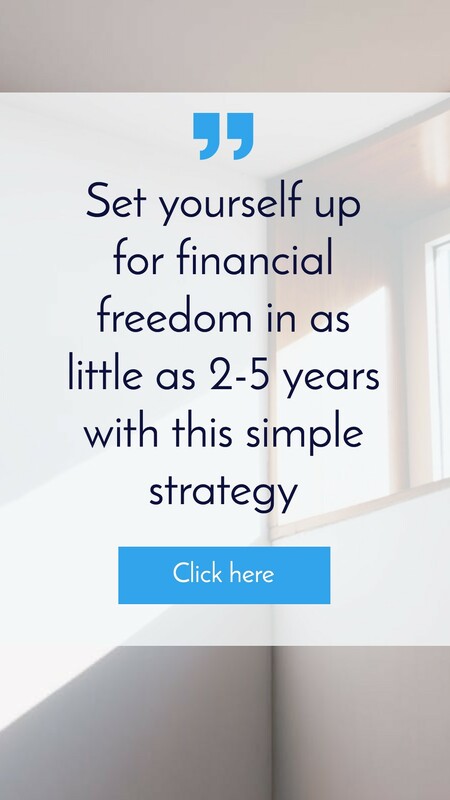 It’s not one is the best way to do it, it’s about working out what your financial goals are and then creating strategies that get you towards your financial goals. But I am not a financial advisor, so I cannot give you financial advice. No matter what strategy you decide to go with correct analysis of potential properties is essential before buying. Fail to plan and you are planning to fail. Get the Advanced Property Calculator to help you analyse your properties.